If your sink or bathtub is draining more slowly than it should, call in the professionals at 24 Hour Rooter at 661-400-1002. 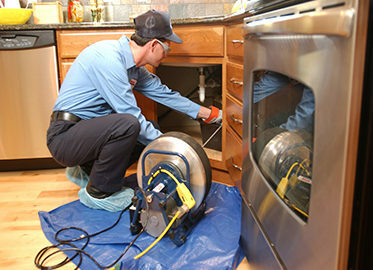 Our courteous and friendly plumbers will soon arrive at your home to diagnose the problem and fix it fast. If the sinks and bathtubs in your home are clogged and are taking longer than normal to drain, most likely have partially blocked drainpipes. These can be quite bothersome and can lead to messy and harmful flooding in your home. Your best bet is to contact a qualified professional as soon as you notice a problem. The main reason for clogged drains are buildup of grease and grime. Most often food waste or other organic matter, along the inside of the pipe, cause a drain to get clogged. The sticky buildup can trap hair and other solids to further constrict the flow of wastewater and eventually become completely blocked. Foreign objects accidentally sent down the drain can also cause a clog, as can the growth of roots from nearby trees into the sewer line. Drain cleaning products like those you will find in your local grocery or hardware store are only effective in eliminating some clogs. Furthermore, in some instances, they can create a bigger problem than they solve. For most clogs, our licensed technicians will employ an auger or snake to quickly and effectively clear out the blockage. 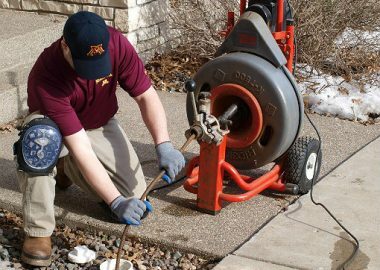 In the case of tougher clogs or blockages caused by tree roots growing into the sewer line, we may use a process known as hydrojetting to resolve the problem. Hydrojetting uses pressurized water sent through the pipes to blast away the built up grime and gunk in the pipes and can quickly sweep away overgrown roots. It is critical to find a qualified and expert plumbing professional to take care of your drainpipes. 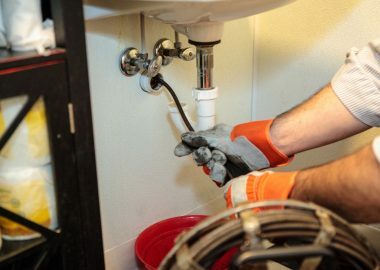 The experts at “24 Hour Rooter” have all the know-how and experience to quickly and efficiently eliminate the blockage from your drains and ensure that the problem does not come back. We strive to make every customer experience a positive one so that you will tell your friends about the great service you received.